Deeper Than Music interviews special guest Lejend. 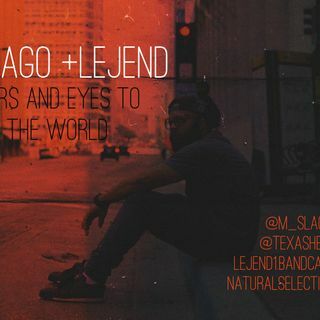 (produced by Tahiti) the video was featured in The Dallas Morning News and Quick for social impact and authentic hip hop feel. Lejend also traveled the west coast in a 12 city tour in support of the two mixtapes. He has worked with and share the stage with Planet Asia, Opio of Souls of Mischief, The Architect, Afu-Ra,Nemo Achida, Donwill of Tanya Morgan, Ras Kass, Killah Priest, Rhymefest, Kidz in the Hall, Count Bass D, A.Dd+, Buffalo Black, and Carlitta Durand to list a few. He is currently finalizing the collaborative project with M.Slago called "Ears & Eyes to the World". He will be releasing his project in conjunction with his new t-shirt line called " Natural Selection". As Hip Hop embraces a new generation of emcees, Lejend is a the forefront of the class. THE ARCHITECT X LEJEND - THINK NOW!